Alan Richard Rehbock passed away peacefully at El Camino Hospital in Los Gatos just shy of his 92nd birthday. Born in San Francisco, a graduate of Sequoia High School in Redwood City and San Jose State University. Alan served his country firstly in the Army and later in the United States Marine Corps reaching the rank of Major. 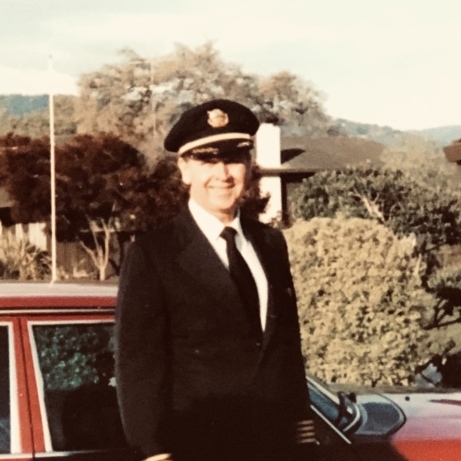 After achieving his wings from the USMC Alan went on to fly for decades with Trans World Airlines. A true highlight of his time with TWA was captaining the flight back to Andrews Air Force base to return the surviving hostages from TWA Flight 847. He was proud to welcome on board President Ronald Reagan and wife Nancy. Alan was devoted to and happily married to Gloria for 54 years. She has preceded him in death. Alan is survived by his daughter and son in law, Anna and John Field of Melbourne, Australia; his son William Rehbock and loving partner Tracy Pina; his adoring grandchildren Kristen and Clare Field, and Wolfgang and Wyatt Rehbock. Alan also leaves behind many loving nieces and nephews from the Rehbock and Foster families. Alan will be sorely missed by his friends and family. Fly West Captain Al. The skies belong to you!